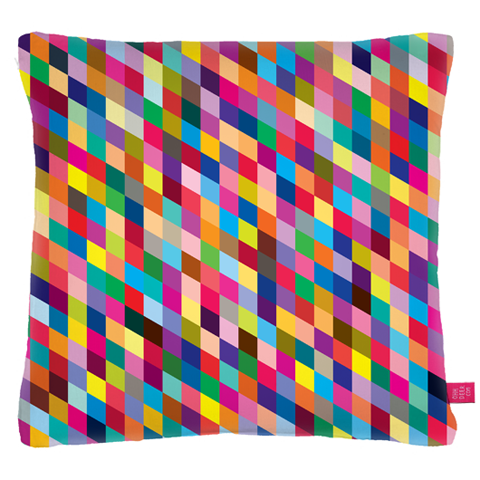 ﻿ Amelia's Magazine | Christmas Gift Ideas 2012: Cushions! 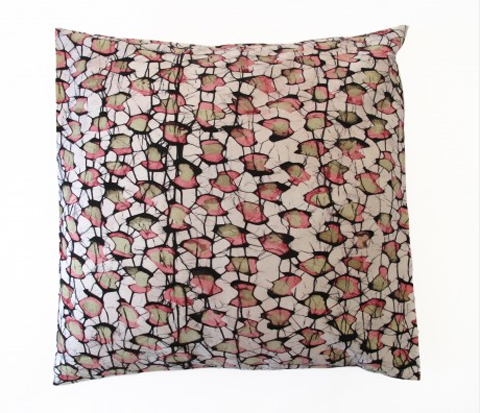 Pictor cushion in super soft faux suede by William Branton for Ohh Deer. 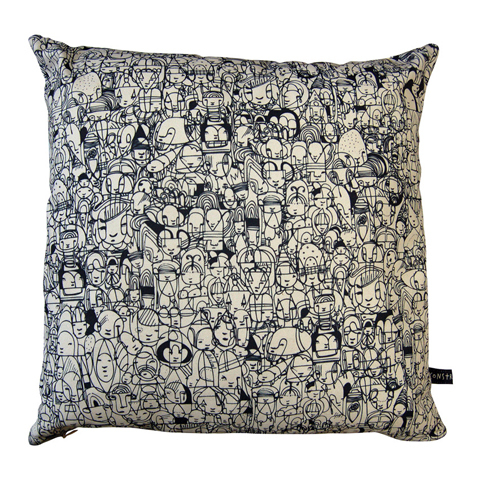 As a surface to display design in the home cushions are hard to beat, which is why you will find so many illustrators and textile designers currently churning them out. And they’re a great way to cheaply dress up your living room – so why not splash out on one, or two, for your loved ones. And then you’ll get to enjoy them too. Perfect! Ben the Illustrator believes that ‘good places make people feel good‘, whether you’re on the coast watching birds, or on the couch watching TV. 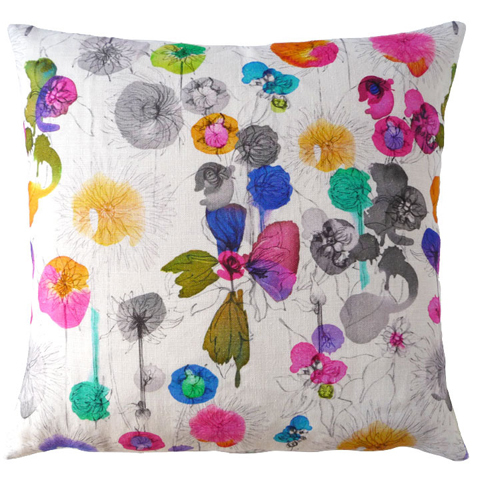 His artwork is inspired by nature and his new homeware range is printed and hand-made in the UK, aided by his wife Fiona and manufactured ‘using unlimited volumes of colour and love‘. I love this Greenland design, inspired by Arctic dwellings. 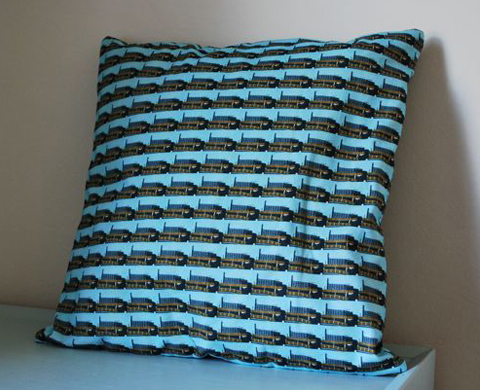 The iconic Park Hill housing estate in Sheffield inspired this large square cushion by Kate Marsden, which is digitally printed on the front with black felt on the reverse. Imogen Heath combines traditional artistry with digital technology to create print designs such as this bright Dahlia design. Shake the Dust is a new ethical design brand which sources, commissions and sells hand-made, luxury homeware and accessories: traditional skills are reinterpreted through modern eyes. This gorgeous Cheetah design was made in the Kingdom of Swaziland by Baobab Batik. Craig Yamey of Constructive Studio created this beautiful calligraphic face print from his studio in Cockpit Arts, Holborn. Read more about the Constructive Studio collection here. 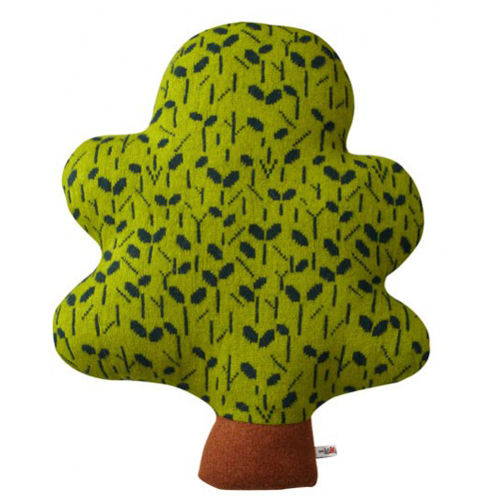 No blog on cushions would be complete without mention of the all conquering Donna Wilson – I particularly like this shaped woollen oak tree. Something a bit different for the sofa! 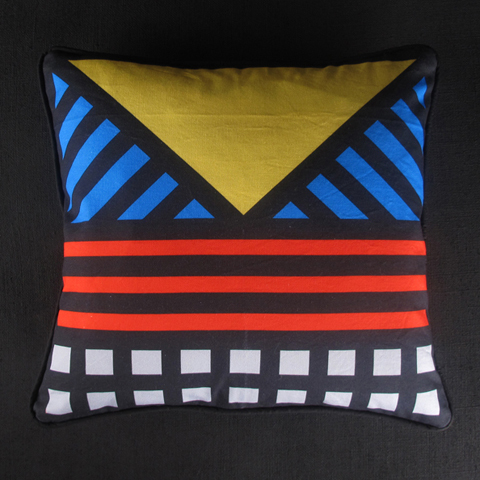 A little bit 80s, a little bit tribal,what’s not to love about Camille Walala‘s brilliant double sided cushion which was inspired by the wall paintings of South Africa’s Ndebele tribe? Part of the T-R-I-B-A-L-A-L-A collaboration with Darkroom. 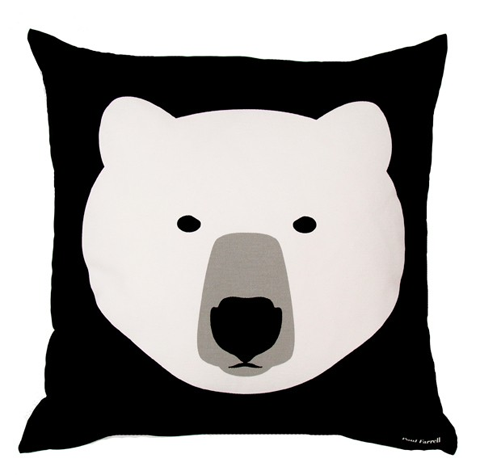 I adore this White Bear/Black Bear two-sided cushion by Bristol-based illustrator, Paul Farrell, available from the great Howkapow design website run by husband and wife design team Cat and Rog. 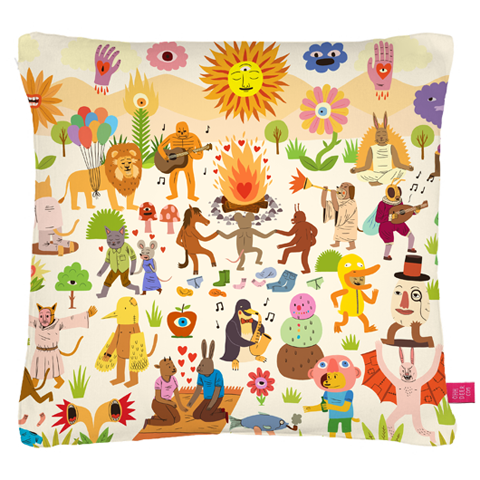 On Culture Label I found this characterful cushion designed by the inimitable Jack Teagle for Ohh Deer, who work with a host of illustrators to create lovely things. Is it a cushion? Is it a plush toy? I’m going with the former for the purposes of this fab creation by Ben Javens on Soma Gallery. 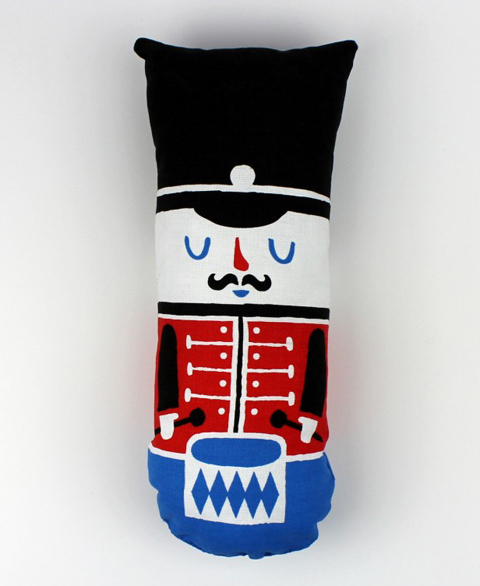 Each Drum Major cushion is carefully screen-printed in the UK using eco-friendly water-based inks, then stuffed and sewn by hand by Beast in Show in Oxford. 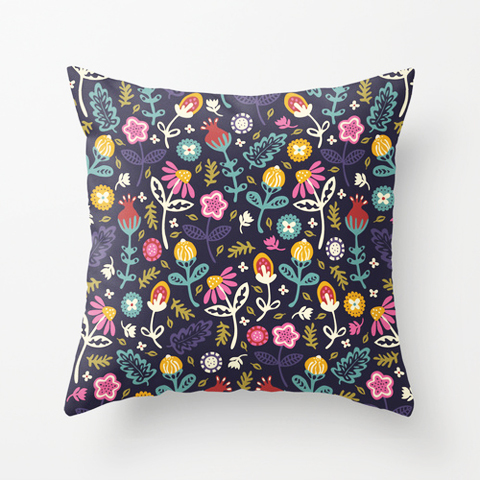 A search of Society6 brought me to this lovely ditsy design by Irish design duo Poppy & Red. 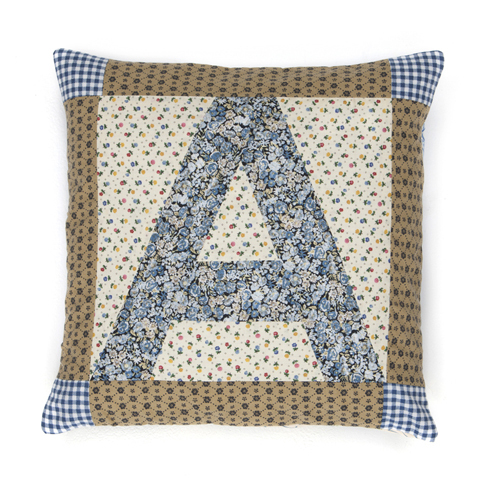 For patchwork lovers: check out these fab alphabet cushions by ethical designer Lu Flux. 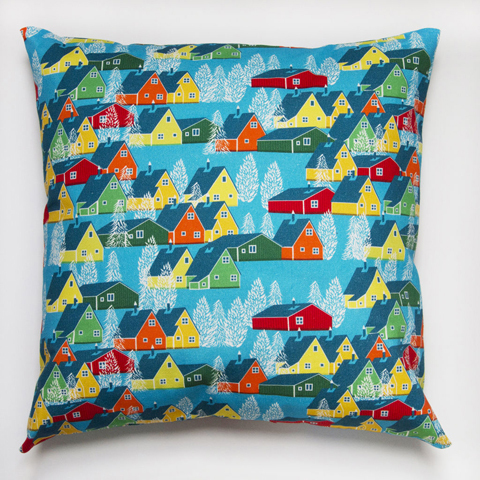 They are all made from vintage fabrics sourced in Britain and no two are the same. 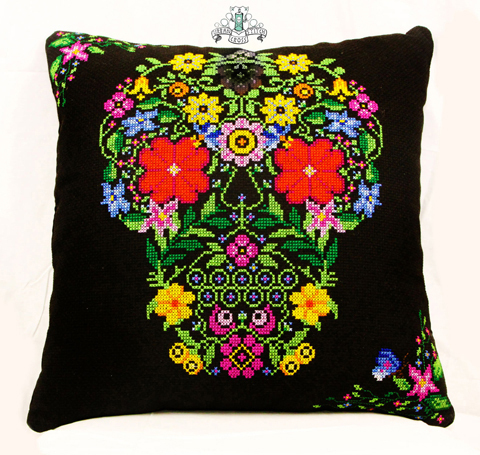 For those of you who prefer to create your own: I’ve already bought one of these as a present – an amazing floral skull cushion by Urban Cross Stitch. Meet them in person at the Bust Craftacular. 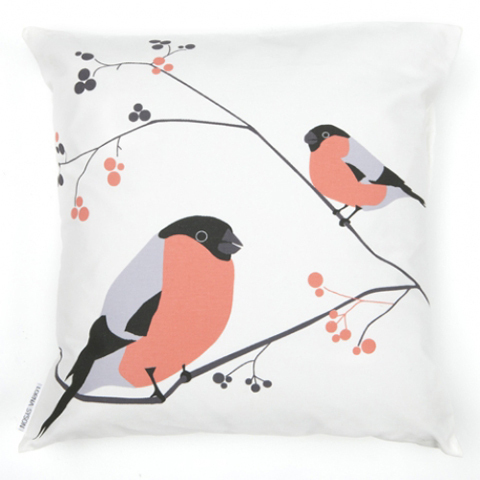 Finally, for a festive feel that will work all year around, how about these plump and handsome bullfinch adorned cushions by Lorna Syson, discovered last weekend at the Cockpit Arts open studios. Look out for my next gift blog, coming soon.